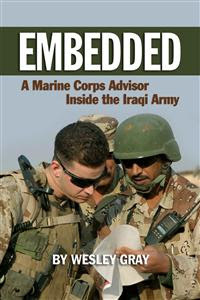 Wesley Gray is the author of Embedded: A Marine Corps Adviser Inside the Iraqi Army, advanced Ph.D. candidate in finance at the University of Chicago Booth School of Business, and founder and manager of the hedge fund Empirical Finance, LLC. 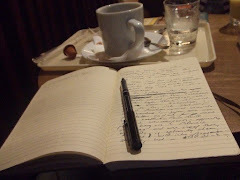 He blogs at Welcome to the Adventure and Empirical Finance Research Blog. WG: At its most basic level, curiosity is probably something that has evolved in humans because it helps us survive and forces us to explore and learn new things. Here’s a simple example of how being curious caused me to learn new knowledge that made my life easier. Before my deployment to Iraq as an embedded military advisor with an Iraqi infantry unit, I was very curious about Iraqi culture. My curiosity encouraged me to learn and understand how Iraqis thought about the world. Throughout my deployment, my knowledge of the culture (and language) helped me convince the Iraqis soldiers that planning before missions was important, torturing prisoners is not always the best idea, and wearing body armor makes sense (even in 130 degree weather). My knowledge of the culture, which stemmed from an initial curiosity, even saved my life at one point. I was on patrol with some Iraqi soldiers in Haditha, Iraq. We were on a look-out post in a local’s home scanning for insurgents placing bombs in the road. While the soldiers were upstairs, I stayed on the first floor and chatted with the family to get intelligence information. My American instincts encouraged me to discuss business and the current operation at hand, but my knowledge of the culture told me otherwise: I needed to talk about family, life, and the softer side of the world if I was to create a good impression with the Iraqi family and get any valuable information. My efforts were successful. As we were leaving the family’s home, one of the young boys hinted to us that an ambush was set up for us on our current patrol route and that we should reroute through the palm groves. We followed the young boy’s advice and dodged a very bad situation. If I had not been curious about Iraqi culture and never took the steps to become knowledgeable, I would probably not be alive today. Curiosity doesn’t always kill the cat. WAM: What do you understand the term “self-education” (or “autodidacticism”) to mean? Do you think of it as a philosophy or lifestyle, or simply as an action? Please explain what it means to you. WG: Learning new things is something I love - the more I learn, the better. Unfortunately, it’s unrealistic to always have a teacher on hand at my beckoning call, so self-education is mandatory. Now that the internet is overflowing with video lectures, course notes, and self-contained learning packages, it’s hard not to be excited about the future of self-education. WG: I think it does. Self-education takes an extra level of discipline and effort from the individual since they are actively trying to teach themselves something new - these folks certainly have "wide-awake minds." In contrast, a student sitting in the lecture hall zoning out and thinking about the previous night’s fraternity party as the professor lectures probably has a "sleepy mind." WG: In the past, the local or university library was my main hangout when I needed to learn about something I was interested in. These days I work almost exclusively through the web — my guess is that I haven’t checked a book out from the library in over a year! The Internet has truly revolutionized information sharing, and Google and Wikipedia have figured out how to organize it all in a reasonably coherent manner (or at least they have done a reasonable job so far). WAM: What is or was your profession? Did you self-educate on the job or as part of your job? Did you see your work as complementary to or a distraction from your interests and education? If your self-education took place largely outside of the workplace, how did you make time for it? 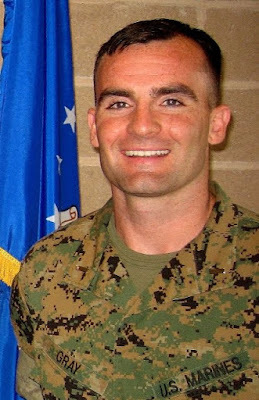 WG: I spent my four years in the military, which had nothing to do with my formal education (which was focused on economics and math). Needless to say, a large portion of my knowledge in the military was self-taught. There is even a saying in the military that there is no excuse for a young lieutenant to not have a 3000 year old mind - all they need to do is read the history of battles over the years, or in other words, self-educate! My current profession is in the field of finance. I run a small hedge fund and plan on going on the academic job market this year in the hope of landing a job as a finance professor at a top MBA program. Self-education is absolutely essential in this field. I haven't taken a formal class in finance in years, and yet my knowledge in the subject is still fairly robust because of all my self-education efforts. WG: I have a few role models: my parents, of course, and then some of my favorites are Senator James Webb, William H. Donaldson, Pat Tillman, Teddy Roosevelt, and Eugene Fama (the hardest working academic in finance). WAM: What is your formal educational background? How did you feel about your formal education? WG: I received a BS in Economics at The Wharton School at the University of Pennsylvania in 2002, and I expect to complete a Ph.D./MBA in Finance at the University of Chicago Booth School of Business in 2010. My formal education was focused on learning skills that I could actually use to pay the bills. I figured that since I was paying for that education I should at least get the greatest return possible. When it comes to self-education I spent a lot more time learning about things that really don’t translate into income: astronomy, military history, politics, world cultures, travel adventures, etc. Of course, self-education doesn’t cost me much either so I have the luxury to indulge in some areas I probably wouldn’t if I was still worried about paying the bills. WG: I am a huge fan of message boards, collaboration, and thinking through problems in teams. If given the opportunity to indulge in self-education, I focus on the areas where I can learn new things with others. WG: I follow current events religiously - specifically economic and geopolitical news. My news sources and commentary primarily come from a hand-selected group of around 500 blogs/outlets I have been collecting for the past four or five years. I’ve tried to make my collection of sources as diverse and well rounded as possible to avoid bias, group-think, and a variety of other psychological pitfalls from which I suffer. I synthesize all these blogs in an efficient manner via Google Reader. MIT and Berkeley have excellent open source access to lecture notes, videos, and material for almost all of their courses. I am also a huge fan of YouTube and Google. If I’m ever interested in a topic I simply “google” it and can usually find a group of lectures or insightful media on the topic. WG: Education is really the key to leveling the playing field and giving everyone at least a reasonable shot at success in this world. The Internet has created an epic leap forward in our ability to give everyone a shot at learning (redistribution efforts and handout systems don't work effectively). 1. Provide and subsidize access to the Internet with a huge emphasis on improving users' ability to access information and educational content. 2. Provide instruction and guidance on self-education and how easy it is with the internet. 3. Provide incentives for people to be curious: religion, culture, and society always find ways to keep people in their place and think inside the box. The more we can encourage free speech and free thought, the better! Thank you, Wes, for your time and for the good work you do. Please take a moment to visit Wes's blog and check out his book at Amazon.com. If you enjoyed this interview, consider posting it to your Facebook wall or emailing it to a friend.